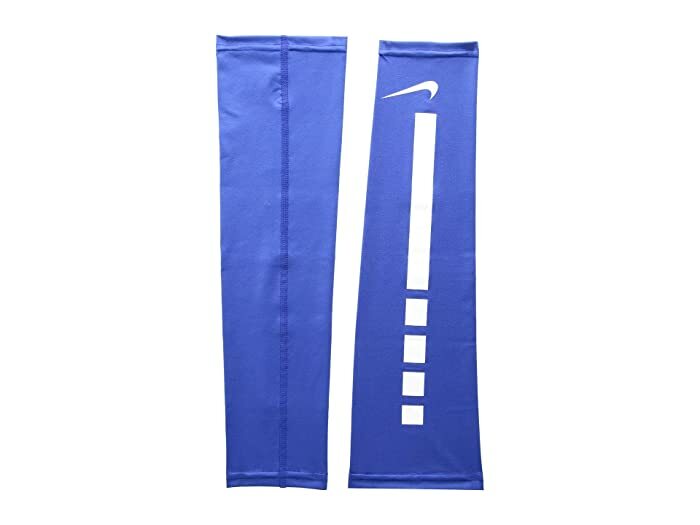 Outfit your performance in the best with the Nike® Pro Elite Sleeves 2.0. Dri-Fit® technology wicks away sweat and helps to keep you dry and comfortable. Compression fit from wrist to lower bicep. Reflective pattern for enhanced visibilty. Nike® Swoosh® logo at wrists. Silicone piping on interior keeps sleeves in place. 80% polyester, 15% spandex, 5% silicone.